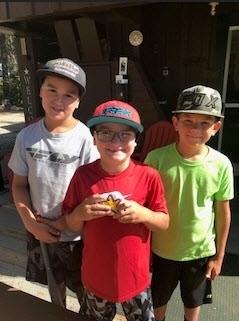 Your favorite way to play can be found at Bucks Lake Camp! You can hike, swim, bring your boat, kayak, or stand-up paddle, and you can even go fishing!! There is a 5mph speed limit at Haskins Bay, so the whole family is safe to have a blast all day long! Have a motor boat? Don't worry. Use our boat launch and take the channel to Bucks Lake for hours of fun in the sun! 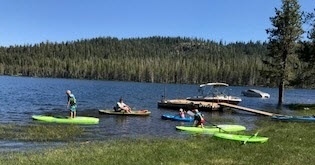 Your favorite way to play can be found out Bucks Lake Camp! You can hike, swim, bring your boat, kayak, or stand-up paddle, and you can even go fishing!! Fishing is enjoyed with five species of trout in the lake.